This post brought to you by HarperCollins Children’s Books. All opinions are 100% mine. A Piece of Cake is a delightful story about generosity, creativity, and improvisation. Mouse has baked a special treat for Little Bird’s birthday! But delivering it to his friend isn’t easy—not when everyone he meets along the way offers to trade something for a piece of cake. In A Piece of Cake, LeUyen Pham puts a unique spin on a classic tale. Kids (and parents!) will love the unexpected and hilarious turn the story takes. 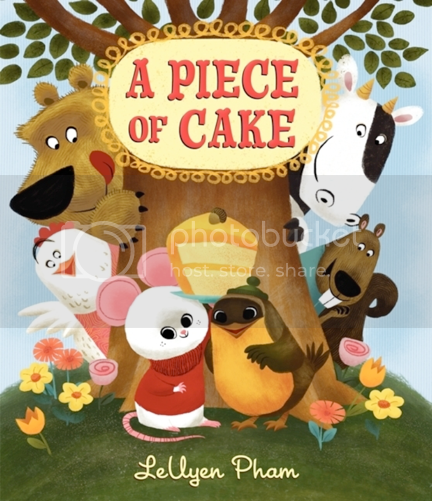 With its strong picture support; story elements, including setting, character, and plot development; and identification of a problem and solution A Piece of Cake is the perfect story for any little one. My kids enjoyed this story so much and it’s become a favorite in our home. Sometimes for them just sitting and looking at the pictures, or reading it to each other the little mouse has become part of this home. So bring back a new classic to your home and give your little ones the gift of a Piece of Cake! What is one Children’s book you enjoyed reading as a child that you have now shared with your little ones? What a cute book! I loved Dr. Seuss books and have been reading them to our little one and she loves them! This looks really cute. 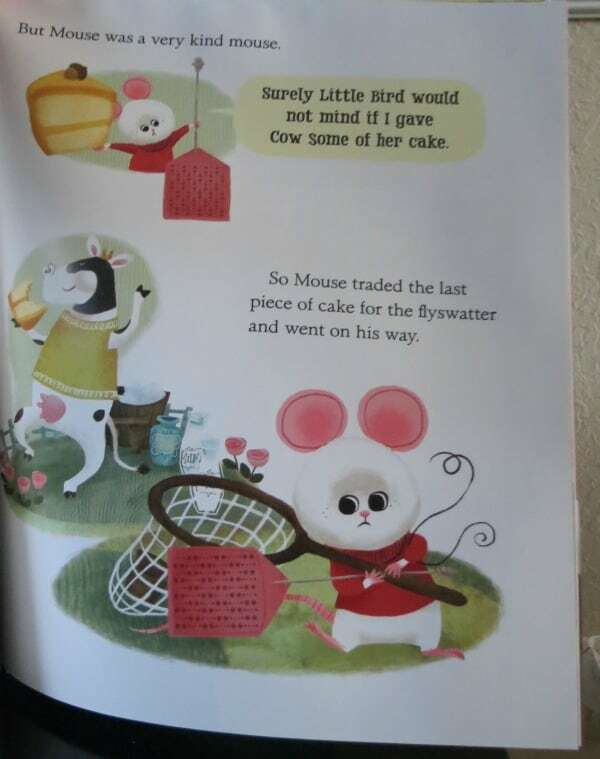 I recently pulled out my “Baby Animals” book that was my favorite for my daughter. She loves it! The Night Before Christmas, I love sharing it with my son! Love you forever and A Sleepy Story! Great books and this one looks like a winner as well! I loved Chicka Chicka Boom Boom. It was so much fun to read along with my parents! There’s a Wocket in My Pocket. Definitely the Haunted House featuring Mickey, Donald, Goody and Pluto. I used to make my mom read it to me every single night. I’m trying to find a copy to read to my son (sadly my little sisters demolished my copy when they were growing up). I Was So Mad by Mercer Mayer. I love the Little Critter books! I really like Amelia Bedelia and some of Dr, Suess . Dog goes to preschool. I love that book! How awesome! We love books in my house! Part of out nightly routine. Adorable, always looking for new books to read with my girls! The Pokey Little Puppy was always one of my favorites!! We liked Owl Moon, Little House on the Prairie, Swiss Family Robinson, Tikki Tikki Tembo, The Best Christmas Pageant Ever and so many more! Peter Rabbit and the Velveteen Rabbit. I don’t guess I have a favorite. My husband’s favorite was the original Mr. Popper’s Penguins. Love reading the classic nursery rhymes. We love Goodnight Moon! Also, Love you Forever, but that one’s more a favorite of mine then the babies right now. So many favorites…Dr. Suess, Eric Carle, Robert Munch, love them all! Right now we love books by Eric Carle. i swear the poky little puppy was written about me. Ill love you forever by Robert munsch <3 it has a totally different meaning now! 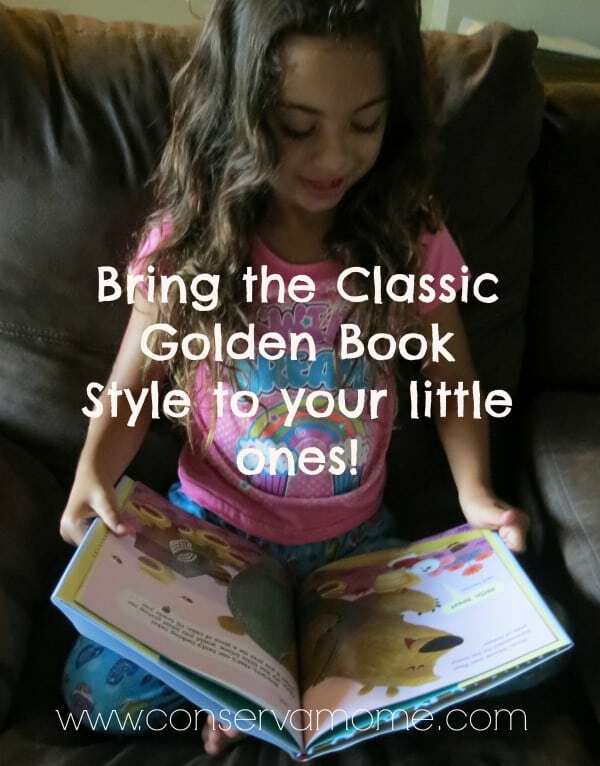 “The Pokey Little Puppy” was my favorite Golden Book that I have passed on to my little ones! Cute story idea and illustrations. The characters look fun. Peter Rabbit by Beatrix Potter, such a classic and just love that naughty Rabbit! Adorable! We had a copy of Rumplestiltskin that I loved! I love you forever.. by Robert Munsch, such a great book! Thanks for recommending the book! Mr. Poppers Penguins! Hungry Little Caterpillar. Cat in the Hat, Winnie the Pooh! I bought The Paper Bag Princess before DD was born and it was the first book we read to her. I love that story! Very hungry caterpillar! And Max lucado books. My favorite stories are nursery rhymes. It’s surprising how many kids these days actually don’t know any of them. I recently started reading to my 2 year old Snot Stew. My mom read me that book when I was little. My daughter is loving it so far! We are almost done with it and will have to start a new book. The Night Before Christmas. I have like 4 copies from when I was a kid. I always loved the magic and family time associated auth the holidays. My favourite as a kid! I am planning to buy Dr. Suess Books for my daughter when she turn 1 this month. Dr Suess books were some of my favorites and I still have some from when I was little that I read to my kids!